Chemical Recycling: The Solution to Fashion’s Ugly Waste Problem? 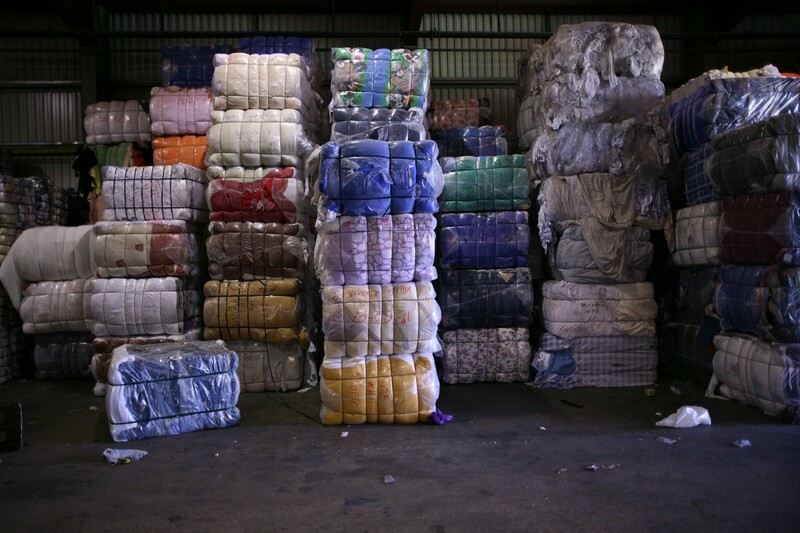 The growing amount of textile waste is cause for concern. According to the Ellen MacArthur Foundation’s new report A new textiles economy: Redesigning fashion’s future, released last week, the equivalent of one garbage truck of textiles is landfilled or burned every second. Unless new solutions are found, the fashion industry will use up a quarter of the world’s carbon budget by 2050. The consequences for both people and the planet will continue to be devastating. At Fashion for Good, we are particularly excited about the potential of chemical recycling to reverse this trend. We believe that with cross-sector support, these technologies can transition the industry away from a linear take, make and waste model towards a model of regenerative circularity. Mechanical recycling already offers a way to create textiles from fashion waste. However, because this process involves shredding textiles, it generally results in low-value output like insulation and carpeting. In contrast, chemical recycling offers the potential to create fibre of equal or higher quality. It involves chemically processing a material in order to fully recover the raw materials that went into it. In this way, it offers the possibility for high-value recycling — a T-shirt can become a T-shirt again. To accelerate this transition, we recently welcomed two new companies — The Infinited Fiber Company and Worn Again — to our Scaling Programme, which supports promising innovations and helps to embed them in the industry. The Infinited Fiber Company has built a technology that recovers the cellulose from cotton and transforms it into new, cotton-like textile fibres with added-value properties like improved colour uptake and antibacterial properties. Worn Again, on the other hand, has created a technology that can separate and recapture polyester and cotton from blended materials. So if you have a blended cotton-polyester garment, the cellulose from the cotton and the polyester can be extracted and recovered back into raw materials that are close, quality-wise, to virgin materials. There is enormous opportunity to create incredible value through the widespread uptake of chemical recycling technologies. However, there are many challenges facing the roll out of these solutions. To achieve widespread impact, all actors across the value chain have a role to play. This includes brands and manufacturers, who can support these technologies by implementing them into their supply chains. Designers, who can embrace design for recyclability and be open to experimenting with new materials. Governments, who can create favorable conditions for the collection of used textiles. Retailers, who can play a pivotal role in implementing take-back schemes. And last, but not least, marketers and the media, who have the power to influence the behaviour change needed for these textile collection schemes to be successful. If embraced at all levels, we believe chemical recycling could lead to a system of continuous circularity. Rather than millions upon millions of tons of textile waste being burned or going into landfills, it could be restored into products that are just like new. The result of this transformation could not only dramatically reduce the environmental impact of the entire fashion industry, but it could also have significant economic benefits. At Fashion for Good, we believe that a circular apparel system is not only possible, but it is within our reach. We are both accelerating and scaling innovations like The Infinited Fiber Company and Worn Again, as well as convening brands, producers, retailers, suppliers, non-profit organisations, innovators and funders to reimagine the way fashion is designed, made, worn, reused and recycled. In the coming years, we will serve as a hub for the dialogue and action needed to drive this transition forward. Join us on this journey at FashionforGood.com. Fashion for Good is the global initiative that’s here to make all fashion good.